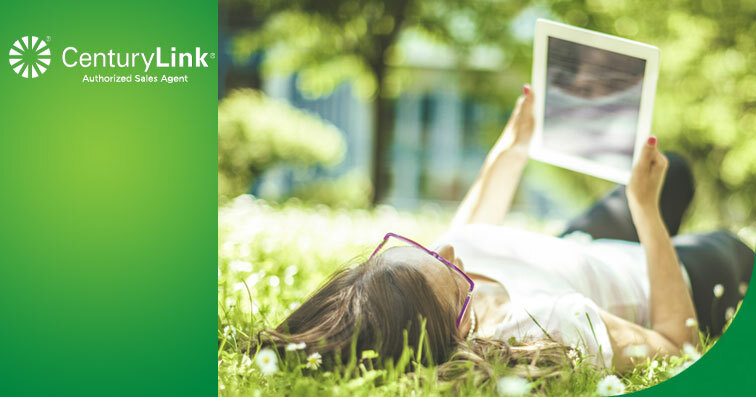 Your family and guests will thank you for equipping your home with high-performance internet and television services from CenturyLink. Learn how bundling these services can lower your monthly bills! *Depending on services you select, these CenturyLink surcharges apply: Internet/Broadband Cost Recovery Fee; Prism Local Broadcast Surcharge; Prism Sports Network Surcharge; Non-Telecom Services Surcharge; and additional surcharges. These are neither taxes nor required by law, but set by CenturyLink and may change. Additional taxes and fees will apply and appear on your monthly bill. For information about taxes, fees and surcharges, visit www.centurylink.com/feesandtaxes; rates subject to change. Service and offer are not available everywhere. Rate is available to new residential CenturyLink customers who sign up by 02/15/2018. After 24 months, the standard monthly rate for the Prism Package selected will apply. CenturyLink provided modem may be required; lease ($10/mo. fee) or a one-time purchase (up to $150) option available (S&H applies). Depending on your location, promotional discounts may not apply to first partial month of service. Rate excludes taxes, fees and surcharges which are based on standard, not promotional, rate. If customer cancels one of the required bundled services during promotion, all promotional rates are void. Customer must remain in good standing and offer terminates if customer changes their account in any manner. Credit approval and deposit may be required. Restrictions apply. CenturyLink may change, cancel, or substitute offers and services, or vary them by service area, at its sole discretion without notice. All products and services listed are governed by tariffs, terms of service, or terms and conditions posted at centurylink.com/terms. Customer must accept the Prism subscriber agreement prior to using service. An early termination fee of up to $20, multiplied by the number of months remaining in customer’s then-current term commitment, if customer terminates Prism service before the end of the applicable term commitment (up to $240 max. ), will apply. Local channel availability varies by market. Applicable monthly fees or one-time charges for Add-on programming packages (ex. Sports Plus), Premium movie channel subscriptions excluded from Prism package selected, Pay Per View movies and events, and On Demand purchases will apply. HD: Customer’s location will determine HD availability and the maximum number of HD video streams (up to 4) a customer can view and record in HD at any one time. Installation: CenturyLink professional technician installation required. Standard installation is provided at no additional charge; other fees may apply for abnormal situations. TV Equipment: CenturyLink-issued equipment is required. Included equipment will vary and be determined by Prism package selected. Equipment Return Policy (30 days after service disconnect; applicable charges for unreturned/damaged equipment) applies; see Prism terms and conditions at centurylink.com. Set Top Box ("STB"): A CenturyLink-provided STB is required to view TV. For Prism Essential and Complete Packages, a $9.99 monthly recurring charge (“MRC”) will apply for the first (wired) STB; for Prism Preferred and Premium Packages, the first (wired) STB is included in the Prism Package offer. For all Prism Packages, a $9.99/mo. MRC will apply for each additional STB requested. If the additional STBs requested are wireless, a one-time $49.95 surcharge will apply to the second and third STB; limit 3 wireless STBs per household. Wireless range is limited; power and connection to TV required. Restrictions apply. Prism on the Go: Prism on the Go offers content through the centurylink.net portal, programmer-supplied apps and an internal facilities-based app (Prism TV app). The content accessible to individual subscribers depends on their Prism package, device, location, and how they are accessing the content and will vary accordingly. Third-party terms and conditions apply to programmer-supplied apps. Prism TV Mobile App: Certain content can be viewed within subscriber’s home only. 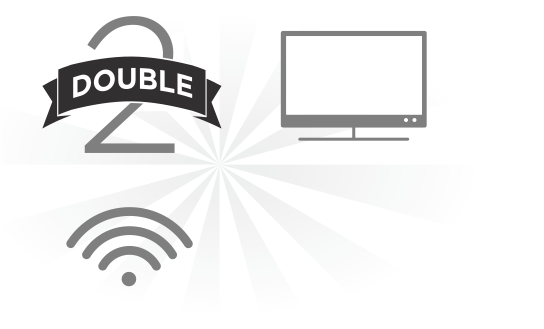 Download and viewing ability requires subscription to a Prism TV package, qualifying device, and Wi-Fi connection when away from home. Terms and conditions apply. Prism Center App: Dashboard app requires subscription to a Prism TV package. Content applicable to social media and vendor apps can be viewed on your TV only. Third-party terms and conditions apply. HBO GO® and MAX GO® - HBO GO® and MAX GO® are only accessible in the US and certain US territories where a high-speed internet connection is available. Minimum 3G connection is required for viewing on mobile devices. Requires subscription to HBO and Cinemax. Other restrictions may apply. © 2017 Home Box Office, Inc. All rights reserved. HBO® and related channels and service marks are the property of Home Box Office, Inc.